Taos is one of the most enchanting spots in all of the American Southwest, set on top a perfectly undulating mesa just at the base of the Sangre de Cristo mountain range. An incredible stretch of American landscape with some of the most visually stunning panoramic views you’ll find anywhere in the US (or the rest of North America, for that matter), you’ll find centuries old adobe buildings nestled into the hills and amongst the trees, all of which remain secluded in the shadow of Wheeler Peak – the highest mountain in the state (rising 13,000 feet above sea level). Artists have poured into Taos throughout the 20th and 21st century, turning it into one of the most culturally diverse, exciting, and “happening” spots in all of New Mexico. Some of the best American Southwest photography in the early 20th century came out of this region, cementing the images in the American population and informing how people visualize this stretch of the West even still today. A relatively small city of just about 5600 people (but with 28,000 folks living in the surrounding community), Taos has become an incredibly popular spot for tourists and travelers that want to feel and experience the truly authentic culture of the American Southwest that only this corner of New Mexico has to offer. Visitors are choosing to stay in Taos bed and breakfasts over traditional big chain hotels and motels for obvious reasons. There’s a lot more history, a lot more culture, and a lot more friendliness in these bed and breakfasts run by longtime residents of Taos then you’ll ever find at the local HoJo, that’s for sure! 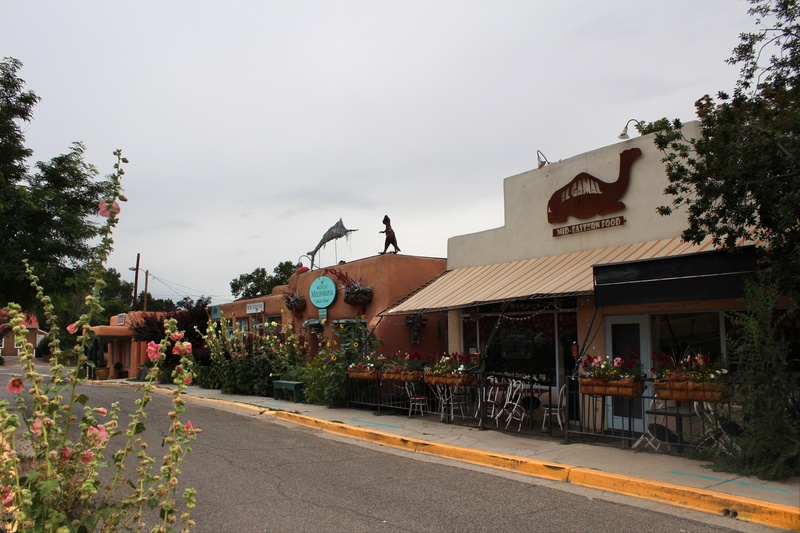 On top of that, many of the best Taos bed and breakfasts are reasonably centrally located to some of the better cultural destinations, eateries, and outdoor adventures that New Mexico has to offer. You won’t ever feel like you are tucked away from the action when you stay had these bed and breakfasts, and won’t ever have to worry about feeling as though you’re missing out on the heartbeat of this uniquely American city. So if you’re planning on visiting Taos anytime soon, be sure that you look into the bed-and-breakfast scene before you book your accommodations. You’ll get a glimpse at this stretch of the American Southwest that you might have missed from a big chain hotel or motel window, and who knows what kind of adventures you might find yourself a part of when steered in the right direction by a local Taos bed-and-breakfast operator!